Among other things, the 2016 Olympic Games in Rio have cemented Jamaican runner Usain Bolt’s status as the fastest man alive. Bolt took home gold medals in the 200- and 100-meter finals in Rio, easily outpacing his competition and smiling for the camera while doing it. His astonishing ability to run fast, and continue running fast over the years, has many wondering what Bolt’s pre-race diet is like, and whether it contributes to his success. The Jamaican's diet has changed a bit over time. By his account, he’s a big fan of fried foods — he says that hot wings are “the biggest craving that I have, all the time” — and these used to comprise a major part of his diet. 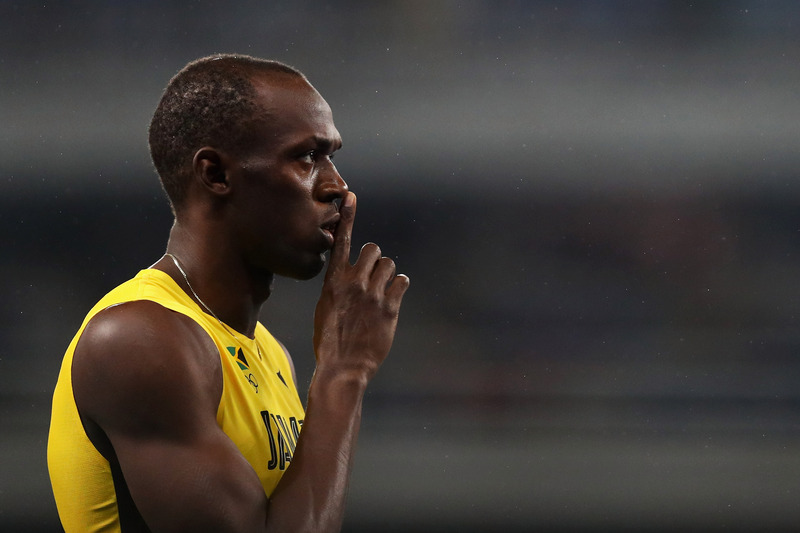 During the 2008 Games in Beijing, Bolt famously ate around 100 Chicken McNuggets a day. He says that this was mainly because he wasn’t used to the local cuisine and preferred McDonald’s. Since then, Bolt has stuck to a healthy diet, in part at his coach’s insistence (“You just have to look the other way,” he said in an interview with GQ). If he’s been eating a specific meal before his races at the 2016 Games, he’s been tight-lipped about it, but Bolt spoke to GQ quite a bit about his general diet as a sprinter. Given his extraordinary ability, it’s not quite as restrictive as one might think. Bolt told GQ that he starts his day with an egg sandwich before hitting the weight room for 20 minutes. He’ll then have a “light” lunch of pasta and corn beef (which, honestly, doesn’t sound that light to me), or perhaps fish, if he’s taking it easy on red meat. From that point on, as he trains throughout the day, he’ll snack on mangos, pineapples, and apples. For dinner, Bolt eats a combination of vegetables — especially broccoli, which he does not enjoy — and Jamaican dumplings. Speaking to the Telegraph, nutritionist Caroline Farrell gave Bolt’s diet decent marks in general, though she opined that he could stand to inject a little more protein into his dinner and snack regimen. One thing is clear: Whatever he’s eating, it’s working.